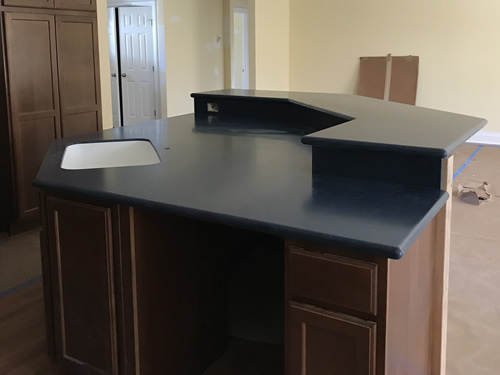 Here are three of options I have found. 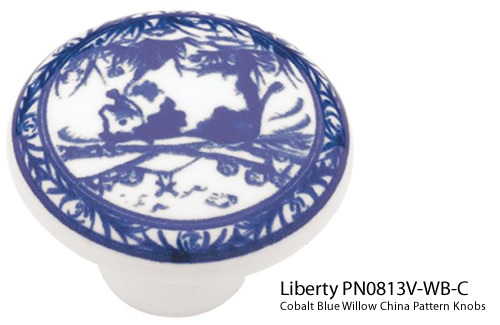 These ceramic knobs are glazed white with a transfer tiny blue willow plate. 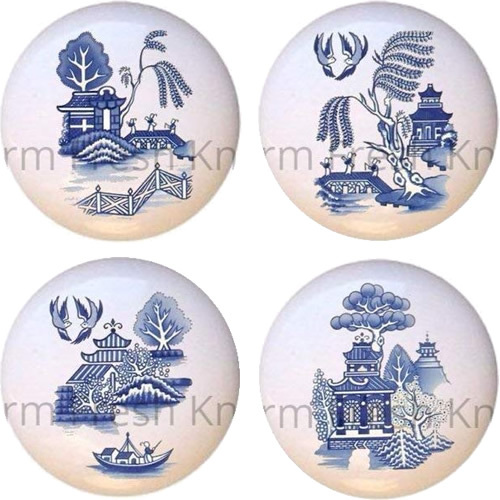 They are absolutely identical to my Churchill Blue Willow pattern dishes. The knobs are 1.5” across. These white ceramic knobs look exactly the same as the ones above. 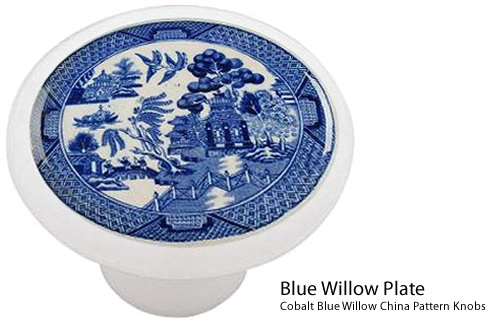 Both are glazed white with a transfer of the blue willow pattern identical to what is on my Churchill Blue Willow dishes. These knobs are also 1.5” across. They stick out one inch. 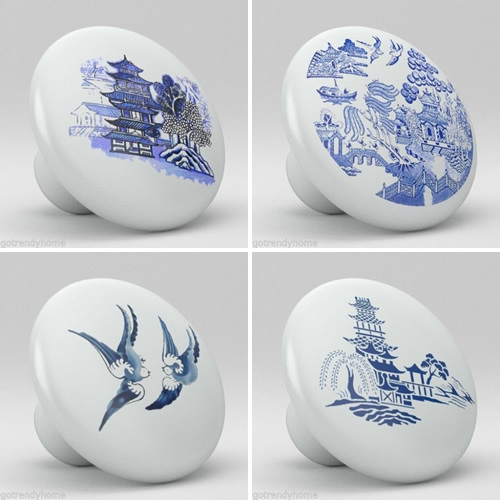 These are white ceramic knobs with an Asian scene that might be vaguely Blue Willow. It would coordinate for sure. The knobs are 1.34” across and stick out a little over an inch. 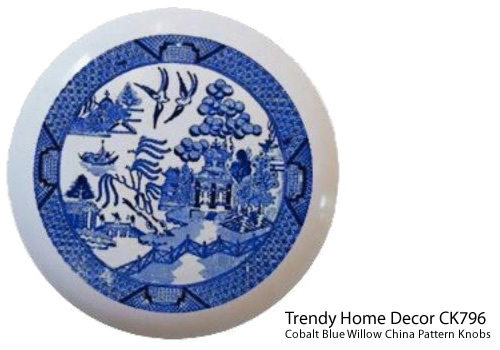 Go Trendy Home has quite a few options that incorporate elements from Blue Willow China. We could choose one or use a combination. Farm Fresh Knobs & Pulls makes Blue Willow knobs to order. She has four Blue Willow patterns that she sells as a set. Hers are decoupage, not transferware. You can email and talk directly to the woman making them. This entry was posted on November 18, 2018, in Blue and White, Farmhouse, Oriental Style and tagged Blue and White. Bookmark the permalink.